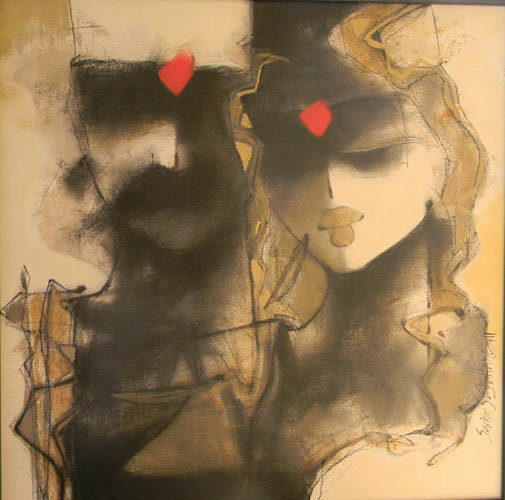 Born in 1968 at Hyderabad, did his BFA in painting from College of Fine Arts, JNTU Hyderabad and MFA in Graphics from M.S.University, Baroda. He has won number of awards as well as a National Scholarship from the Government of India. He participated in a number of group and one man shows all over India. His collages, depicting animals and human figures, as well as small size canvases with tribal work like images of human figures and animals are in a style distinctly his own!